2004 World Series: An Anniversary Re-post - Cursed To First - Sox and Pats forever. Yesterday on Twitter, someone was telling an acquaintance of mine, "Happy Bill Buckner Day." Yes, people still try to harp on Buckner, I guess just to see if it works. Even though anyone who's really taken the time to learn about what happened on Oct. 26, 1986 doesn't blame Buckner, or at least puts him further down the blame list than his manager and teammates in the bullpen. Even though it's all different now. 2004 irrevocably changed the equation for Red Sox fans. Now there is something to think back to and take comfort in, even in years like this one when things don't go the way we'd like. Now there is something to respond with when some behind-the-times heckler yells out "Buckner." I will always be grateful to the 2004 Red Sox for that alone, but there's plenty more that they did to be grateful for. So, to commemorate another anniversary of their victory, below is the World Series section of my multi-part essay on 2004. It's long and self-indulgent, but that's appropriate in a way; today is a day for basking in the memories among Red Sox fans. And yes, we know all the rest of you miss heckling us about '1918' and 'The Curse' and poor old Billy Buck. Oh, well. The World Series was short and sweet, more the maraschino cherry atop the Sox' great accomplishment than its heart. There are other fans who feel the need to act as if it were otherwise--as if they believe acknowledging an anticlimactic World Series proves something about them as fans, something that in turn makes them unworthy of the victory. But I'll say it. The ALCS was the real World Series--that much is so abundantly clear in retrospect that it's obtuse to keep insisting otherwise. The World Series was a victory lap. But, of course, it was the victory we'd been pining for all along--it had only been 18 years since we last won a pennant, not 86. That ultimate prize was necessary to seal the year. Pardon me if this offends anyone's principles, or bypasses all the analyses that explain precisely why the Cardinals ran into the Sox like a brick wall, but it was my feeling from the beginning that no team has ever been put together that could beat a Red Sox team fresh from snatching a pennant from the New York Yankees. No team has ever had to. Sorry if this makes me a condescending East Coast elitist or a self-absorbed Sox fan, but I felt sorry for St. Louis, and her fans: they should've gotten the chance to play some nice, wholesome AL team like Anaheim. That would've made for a good, competitive series. The Red Sox, instead, came howling out of an unholy, epic, Shakespearean ordeal...and the Cardinals weren't just overmatched--they were all but irrelevant. Then again, the Cardinals lead the all-time St. Louis-Boston series two World Series trophies to one, so it's hard to feel too sorry for them. Remember Bob Gibson, guys? Meet Pedro Martinez. Remember Enos Slaughter's Mad Dash? How's Jeff Suppan working out for you? But the whole affair felt otherworldly, dreamlike, unreal, and may always feel that way. The Cards never led? Not for a single inning? There were two moments that stick out vividly in my mind, accompanied by the strangest feeling of inexplicable deja-vu. Deja-vu. That's what it felt like. Like you'd been there before, but hadn't. And deja-vu doesn't happen with enormous moments, necessarily, but with piddly little ones--you're walking down a sidewalk and all of a sudden the cracks in the sidewalk line up just right, and suddenly you're standing someplace you've seen before, this exact frame in your internal viewfinder, and there it is, just some cracks in a sidewalk and a certain pattern of shadow and one of those strange black gum-spots, but there you are, wondering why your brain chose this picture of a sidewalk to show you from the future, somewhere in the past you don't remember. The first moment that has stuck with me like that is Mark Bellhorn's home run in Game 1. Perhaps not an insignificant moment, but still--it was only Game 1, and has since been overshadowed--and rightly so--by the Last Out by Keith Foulke, and the reappearance of the bloody sock, etc., all of which I appreciate...but the moment I replay over and over in my head--and sometimes over and over on my various World Series videos--is that clanging, clunking homer that won the Sox their first World Series game in nearly twenty years. What the retrospectives don't emphasize is the fact that Bellhorn had hit a pitch to the precise same spot moments earlier, foul. Maybe it doesn't really matter--but to me it does. Because without the letdown from "get out! get out! get out...!...argh, foul ball!" moments earlier, you don't get the element of surprise to the elation--and that's probably what makes the moment so sweet to me. The ball comes off Bellhorn's bat, in a screaming arc toward the right-field corner, and on replays of the highlight, you can see everyone's shoulders slump as it heads for the same spot...and then...BOOM. The home run Bellhorn hit to win a game made a sound. A sound largely unencumbered by the screams of people willing it out--since they were watching it go, assuming it to be foul, in relative quiet. And so there it was, ringing out into the night while ballplayers' breath fogged on the field and a fierce wintry sky hung foreign over Boston's summer playground--BOOM. Wake up, Boston. Here it is. And right on its heels: YAAAAAAAHHHHHHHHHH. I'm so obsessed with this moment that I've even watched it (repeatedly, as always) with the television muted, and you can see it--you can see the exact second when the home run hit, can see it hit the crowd and set them jumping and screaming and waving like jangling marionettes suddenly yanked by their strings--you can see the effect of baseball on Boston and the connection between the fans and the players on the field. Bellhorn's home run was the most multi-sensory home run I've ever witnessed. A moment that's given me a pure, innocent, uninhibited joy the likes of which I haven't known since a single-digit age, and that I'm unlikely to meet again often between here and the high two figures. And then a high pitched-whine as my grainy VHS tape rewinds. That tape'll break before long with the way I'm wearing it out, and it'll break right on that frame, the frame that goes BOOM. In some parallel universe, Bucky Dent's home run is curving foul, and Yaz didn't pop out to end the game but instead hit a resounding double or perhaps even a triple; Wade Boggs never cried in the dugout and Grady Little never dreamed of walking off that mound without Pedro Martinez firmly in tow. We've known that universe. We've lived in that universe at times, when things on this side got too cruel. And not just with baseball, either; we've all imagined some other side where maybe someone didn't die or we didn't make this or that decision. This--Mark Bellhorn's home run striking the Pesky Pole, the pole opposite the one christened by Fisk's famous walkoff in 1975, a mirror image--was that universe reversed, was the other side of the looking glass, was the dream-world made flesh. And then fast-forward (to continue the videographic theme) to Game 4, and my other enduring, deja-vu moment, one that probably no one else shares with me as their favorite moment, but why would they? It's random as hell. More specifically, Trot Nixon's face in close-up on the TV screen, mouth open, shoulders heaving, sucking breath after his double to make the game 3-0, a sniffle and a wiggle of his pug-nose, a delicate little puff of condensation clouding around his face in the chilly October air. It's strange, because Trot Nixon isn't really my favorite player, and not someone I take especial notice of this way, but he's burned into my brain now, and that memory of his face, panting after legging out his two-run double for the last RBI a Sox batter would earn in 2004, will probably be the first thing that pops into my head whenever anyone mentions the 2004 World Series, or even the 2004 Red Sox in general. It's hard to know why this moment has stuck with me, or what real significance the memory of Trot's face has for me--memories are usually tiny things you attach subconscious tags to--remember this--along the way, something you consider significant before hindsight proves you right. I had no way to know that Trot's RBI would be the final men pushed across the plate until next year's Spring Training, and frankly, being the cynical New England fan that I am, I was worrying and wishing we had more right up until Foulke was underhanding to Mientkiewicz. It's funny, the things you remember. Maybe it's just a sign of the way I got so into these guys, the fact that though I wouldn't consider Trot my favorite player, I have him and his face memorized, like all the rest--the kind of weird one-sided intimacy a fan has with each player in a year like this. It reminds me of one of the most touching scenes in last year's Red Sox movie--Erin, one half of the Erin-Jessamy Dynamic Duo--had a habit of pressing her manicured hands to the TV screen after a significant play or win, often fitting her fingertips to the miniature appendages of a tiny Nomar or Johnny Damon on-screen. Everyone who's a fan does a similar thing, if only inwardly, when they follow a team. My imprint of Trot's face, then, might just be because it was the last time I drank in one of my players before the great denouement. Funny, still, that it was Trot, someone who rarely stuck out to me at any other time. 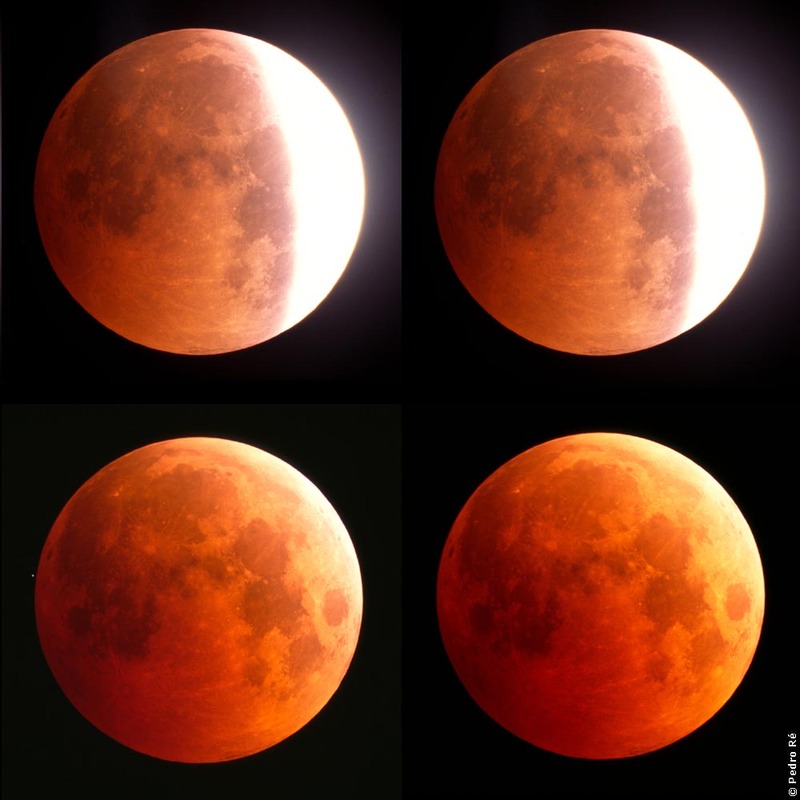 One other thing I've spent perhaps too much time thinking about is the lunar eclipse that came about on October 27, 2004--just as the Sox played the final game of the World Series. I've spent hours poring over astrology resources, trying to find some creepy quote I could post here in italics, something that would impress you all immediately with its analogies to the situation of the Red Sox finally winning it all...but whenever I did find something, it was a mere phrase or coincidental word buried in an otherwise unrelated--and sometimes nonsensical--sentence or paragraph, which in turn was contradicted by an "expert" account elsewhere. Even if I could have convinced myself that there was something more meaningful in the alignment of the stars and planets and satellite heavenly bodies, such as Earth's moon, and that it relates somehow in a meaningful way to human life and society, there is little even in the most coherent astronomical or astrological accounts to relate it to the Red Sox' triumph. About the only hard and fast fact there is is that the moon's orbit and location and phase has the slightest--but only the slightest--effect on the earth's gravitational field, and influences the tides of the ocean. If you want to really strain and stretch, you could relate that to baseball and the Red Sox...somehow. But it's lost on me. But it's not about what's real or factual--it's about what we want, what we want to know. We want there to be a connection between what's important and vital to us and what goes on beyond our stratosphere. We want a systematized universe--one that has a discourse, a dialog, a story. But the moon doesn't mean anything. It's a hunk of rock in space. And ultimately, we decide our reality; among the most distressing aspects of the human condition is that the kind of closures and ultimate, healing understandings brought about by the 2004 Boston Red Sox are rarely afforded in life, and when they are, they are to be found in disproportionate number in the uncanny symmetries and epic metaphors of our games--the things we take (or are supposed to take) less seriously. Sometimes, though...it comes close to enough.